Sometimes the internet gets boring. We try to find something else to do – but we always end up back at our computers – its a disease. …the feeling when all the links on the frontpage are purple. man, i tried loading this page like 10 times, your servers have been taking a hit! keep up the good work, another A+++++++ comic. 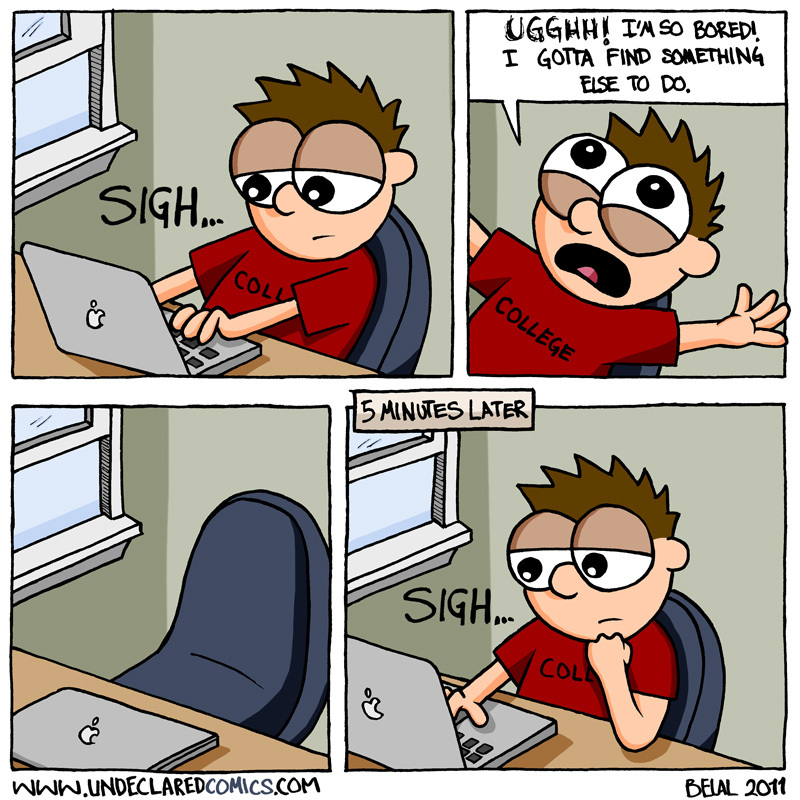 More than half my life is consumed by computers… I guess that’s when I get for being a Computer Science major…. and bookmarked… following for sure! Send me a copy of that paper!